None of this would have been possible without the commitment and quality of their sponsors and partners. 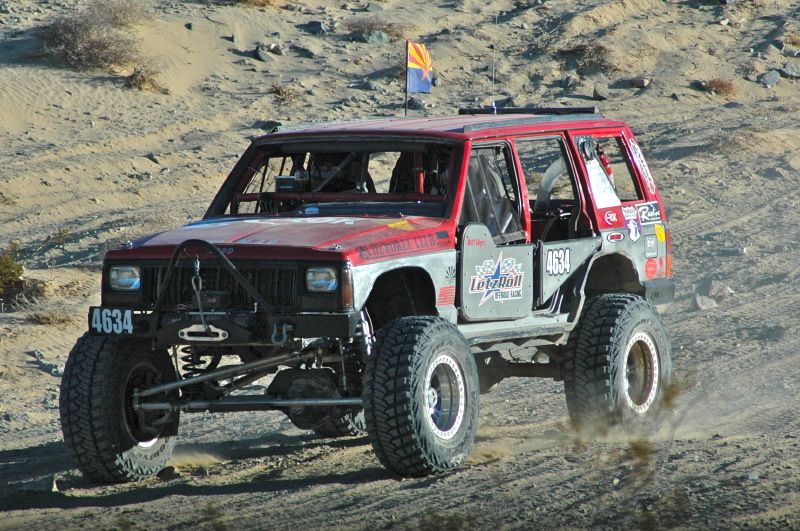 Yukon Gear and Axle has provided a strong foundation for harsh endurance racing and all four teams have had tremendous success with Yukon’s gears, axle shafts, lockers, and hubs. With the constant abuse of rock racing, it is essential to trust your equipment. Yukon is unbelievable. Thank you to Artecindustries for their support and superior products. Andrew, Shawn, and Matt race Goodyear tires and have had zero tire issues the entire race season. 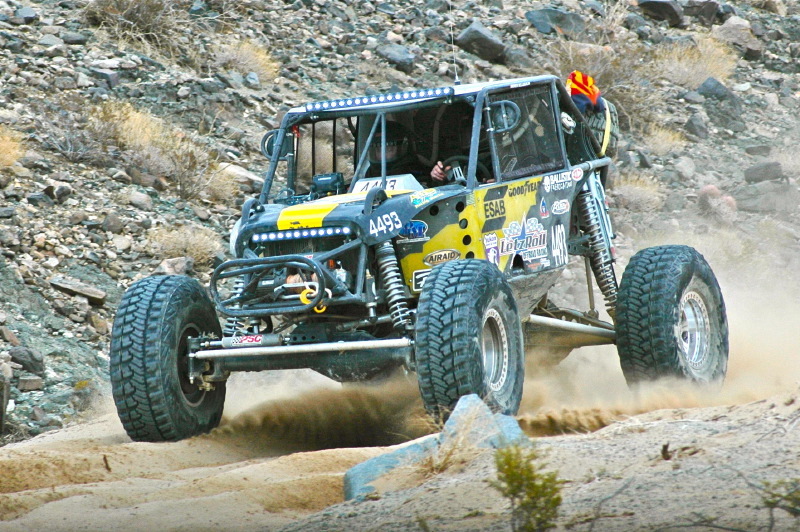 Strong, dependable, and versatile, Goodyear is the tire of choice for LetzRoll Offroad racing. 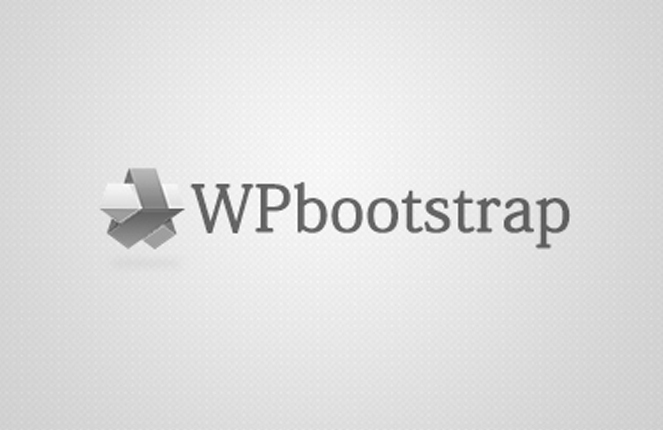 Thank you for your commitment. Thank you also to PSC steering, ESAB N.A., Ballistic Fabrication, and the extremely rugged and dependable Raceline wheels… as tough as Andrew is on trees and axle shaft tubes, his Raceline Wheels have taken the abuse and more! Special personal acknowledgement of Charlene Bower of Bower Motorsports Media for her contribution, coaching, and support of the race teams, as well as Shelley and Big Rich at W.E.Rock / Dirt Riot for their tireless commitment to our sport. Andrew McLaughlin #4493 Unlimited team: Andrew finished the 2012 season 3rd Nationally in the Dirt Riot Endurance Racing Series earning an automatic spot into the 2013 King of the Hammers. He finished 18th at the 2013 King of the Hammers, earning an automatic spot into 2014 race, which will be his 4th King of the Hammers that he will have competed in. In 2013 we will see this team at the Southwest, Mountain and National Dirt Riot Races, Ultra4 Glen Helen and National and a select Arizona Desert Racing Association races. Since the age of 16, Andrew McLaughlin knew he was meant for wheeling. After attending ASU while serving in the military, Andrew graduated and worked in the corporate world for 7 years until his passion for off-roading got the best of him. 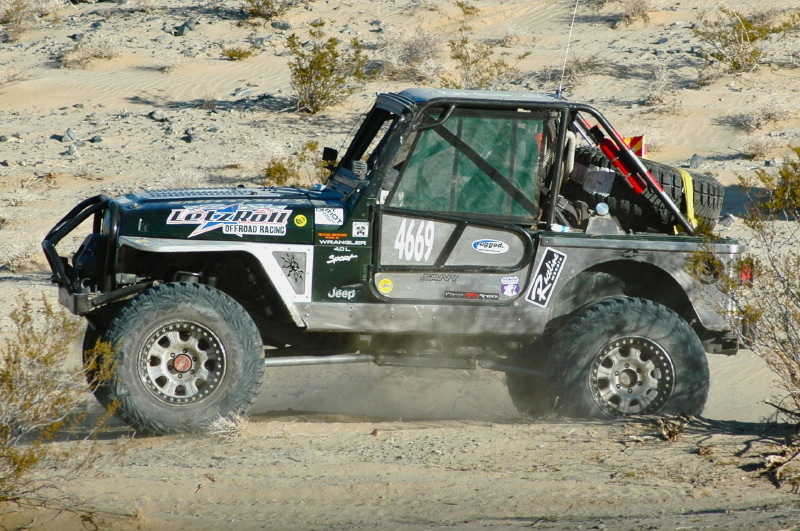 Andrew started LetzRoll Offroad in 2008 as a part time business through the Internet. In 2010, he left corporate America and followed his dreams of owning his own business and opened LetzRoll Offroad in Mesa, AZ. (www.letzrolloffroad.com). With the support and encouragement of his wife plus a growing group of loyal customers requesting custom fabrication and installation, Andrew made the move into a full time custom shop. Today LetzRoll Offroad has 3 full time employees who are all active wheelers. 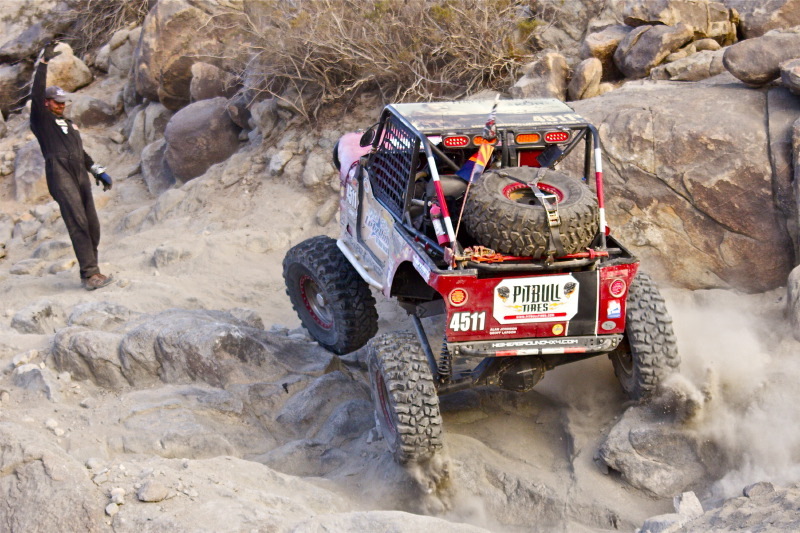 The move to the Ultra4 and Dirt Riot series was a natural fit for their experience in both rocks and desert. Alan Johnson #4511 Pro/Mod team: In 2012, they accomplished becoming the Mod Stock Dirt Riot National Champion and have successfully started and raced the 2012 and 2013 Smittybilt Everyman Challenge race at the King of the Hammers. Team LetzRoll Offroad’s modified stock entry hails from Phoenix, AZ. Alan Johnson and Geoff “Rockslapper” Larson are true “Everymen” who work regular jobs during the week so they can build their rigs and crawl the Arizona desert on the weekend. Alan is an executive at Mercer Advisors (www.merceradvisors.com) and Geoff is a top notch body man at Dale’s Auto Collision. With the support of HigherGround4x4.com this is Johnson and Larson’s second race season and they are honored to be a part of LetzRoll Offroad Racing. Starting as a “40th birthday present” event (to race in the 2012 Smittybuilt Everyman Challenge), the adrenaline of racing and the relationships built while building the car have caused an addiction that can only be met by the Ultra4 and Dirt Riot racing season. Shawn Passmore #4669 Stock class team: In 2012, they competed in the 2012 Everyman Challenge and took 4th place and in 2013 he competed but did not finish. They ran the Dirt Riot Season taking the Southwest Series Stock Class Win and the esteemed National Title. Shawn Passmore has been a wheeler for the last 20 years, starting with a 1979 CJ5 then moving to a 98 TJ that has wheeled everything from back roads to 4.5 trails all over AZ. “My family enjoys the outdoors as much as I do and we have continued the long standing traditions that I was raised with such as tread lightly and respect the land/other users just like they were family. I was born is AZ and have raised my child here because of the many opportunities to ‘get away from it all’ that we enjoy so much.” Co-Driver Mike Bradley has joined the team for 2013 and is excited to be a part of the national championship team. Both Shawn and Mike reside in Mesa, AZ. Matt Salyers #4634 Stock class team: 2013 is the initial year of racing where they have already competed in the 2013 Everyman Challenge, a Arizona Desert Racing Association race and is committed to running the Dirt Riot Southwest Series. Matt is active military serving in the Air Force, based in Phoenix, AZ. Matt and co-driver and brother Adam, and their father have been building the car off and on during deployments in 2012. “Team M.A.D” are a family based team founded on a dream that became a reality. Matt’s mom helps in the form of motivation and recording video and Matt’s amazing wife supports him and even helps work on the jeep. Matt and his family reside in Surprise, AZ.